A few months ago, we kickstarted the AUGUSTMAN x Chivas Regal Gentleman’s Series with the topic of the year – cryptocurrency. The gentlemen who attended didn’t hold back, peppering the expert Prakash Somosundram of XSQ with dozens of questions about the digital currency. All in the spirit of good fun, of course. For the second workshop in the Gentleman’s Series, we shone the spotlight on suiting. One of the most common sartorial topics – and also the most misunderstood – suiting is an art form that blends materials, silhouettes and history to form the modern man’s armour. Watch the video below to check out the highlights of the event. Common Suits co-founder Javin They explained some of the common and uncommon tenets of suiting, and also gave sartorial tips. For example, your tie should always be a slightly darker shade than your suit. But, the highlight of the evening was definitely the whisky blending workshop conducted by Chivas Regal brand ambassador Matthew Parry. 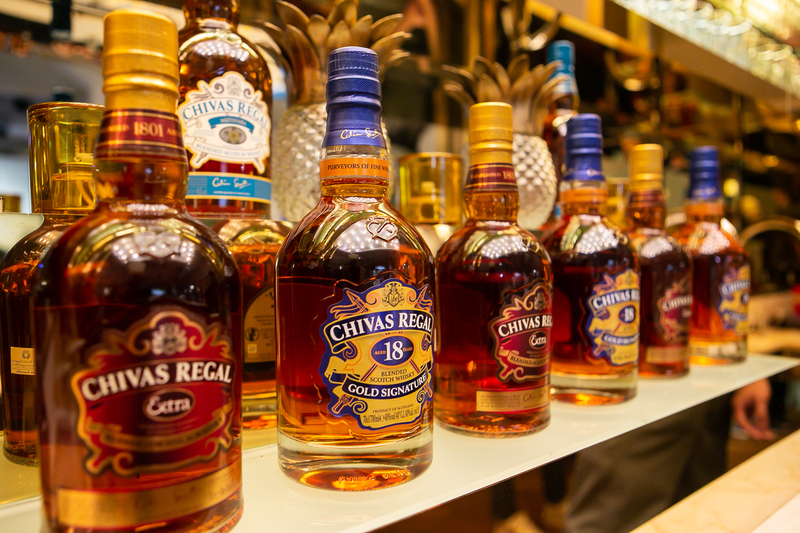 Similar to the first workshop, participants briefly learned about the history of the world’s first luxury whisky before sampling four single malts and a grain whisky – crucial components of the Chivas blend. Guests then had to use these five unique whiskies to create their own blend in the rich, smooth and generous style of Chivas Regal. It was no easy task, evidenced by the dozens of folks constantly approaching Matthew to get input on their blends, and all of them had a better understanding of the amount of skill a nose requires to get the perfect blend time and time again. There’s a reason why there have only been five master blenders in the alcohol brand’s history. Just slightly over an hour later, with everyone’s blends finally bottled and tagged, the gentlemen (and a couple of ladies) enjoyed a series of Chivas cocktails while exchanging anecdotes and knowledge about suiting and whisky. We even spotted a few buying a couple of bottles of the new Chivas Regal Mizunara. For a limited time, there’s a festive promotion going on over at drinksandco.sg for the lovely liquid gold, so you might want to head over to bag yourself a Christmas gift or three.